Your living room, reading room or even your office will look so elegance with this black bishop. The shape and color enable you to mix and match it with your contemporary furniture. Black bishop gives the mood and climate of minimalist yet cozy atmosphere. Perfect for house decoration both for indoor and outdoor. You do not need worry about its damage, because our product has made from best Teak wood. Polished in glossy black and very durable for use outdoor, such as at garden or backyard. 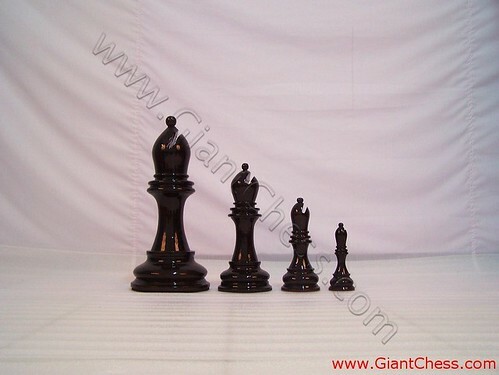 Our Bishop chess piece has high quality and durability, usually use for house decoration and outdoor chess tournaments. We also have another chess pieces in variety color. You can order in brown, white and others. Have it now!